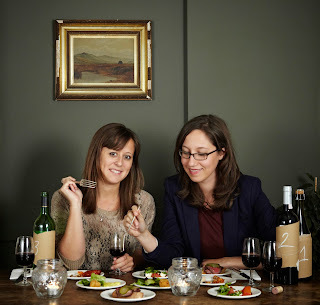 A Grape Night In have announced their next venture - an indulgent Sunday Roast lunch Pop-up near London Fields, with bubbles, paired wines, and even a quiz in the evening. Most of their Wine Wednesdays sold out, and I've not doubt that this will be just as popular. A Grape Night In are proud to announce a new series 'Toast & Roast', popping-up every Sunday from October through to December at the quirky, cool and homely Studio GI. The wine will take centre stage as we toast to Sundays and roast dinners - relax with a glass of bubbles when you arrive, before settling in to enjoy a selection of wines perfect to go with your roast dinner. Chef Ricardo Prestes will be cooking up a storm in the kitchen to bring you delicious roasts every week, but we'll be putting a spin on tradition by bringing out the roast in 3 courses; 'The Veg' the starters, 'The Meat' for mains and 'The Sauce' becomes dessert. Roasts will alternate every week (see menus below for more details) and vegetarian options will be available too. So why not bring a group of friends or bring the family along for either a lazy lunch from 1:30-5pm (we can take groups of up to 12 people), and all topped off with a quiz from 6pm. Sunday's won't be the same again! The Sauce: Chocolate tart with crystallized horseradish"
Tickets - Tickets cost £35 from Edible Experiences here and includes bubbles on arrival and three courses with paired wines.